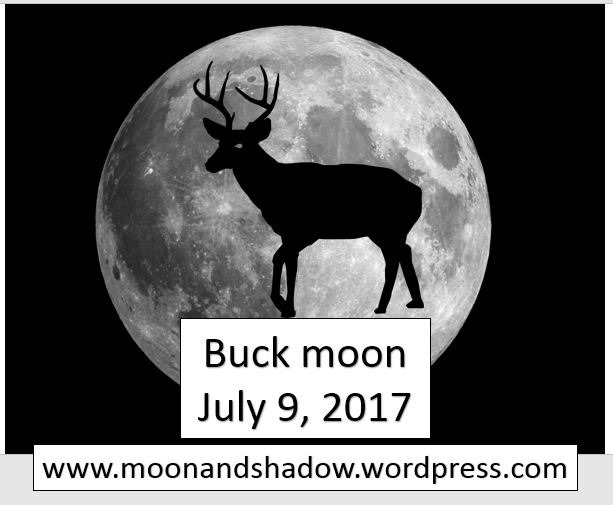 The full moon falls on the July 9, 2017, known as the Buck Moon. This is when the male deer have full sets of antlers for the upcoming mating season in the autumn. This is also called Thunder Moon, for the season rain and storms. Some fun activities include gathering storm water for rituals. I often do this with leaving glass jars out in the rain, then labeling them to be used later. The water can be used in ritual, for washing altar tools, or use for scrying. Water scrying. (video tutorial) This technique lets you use visualization for divination similar to crystal ball gazing. Ice Spell- Use the storm water to use in an ice spell. Take some parchment or paper, write down what you wish to remove from your life. Ideally, think of a bad habit or something that blocks you from moving forward in your life. Meditate and infuse the paper with this thing you wish to remove. Set it in the water and freeze this overnight until it is solid. Use enough to cover the paper. The thicker the ice, the longer it will take to melt. 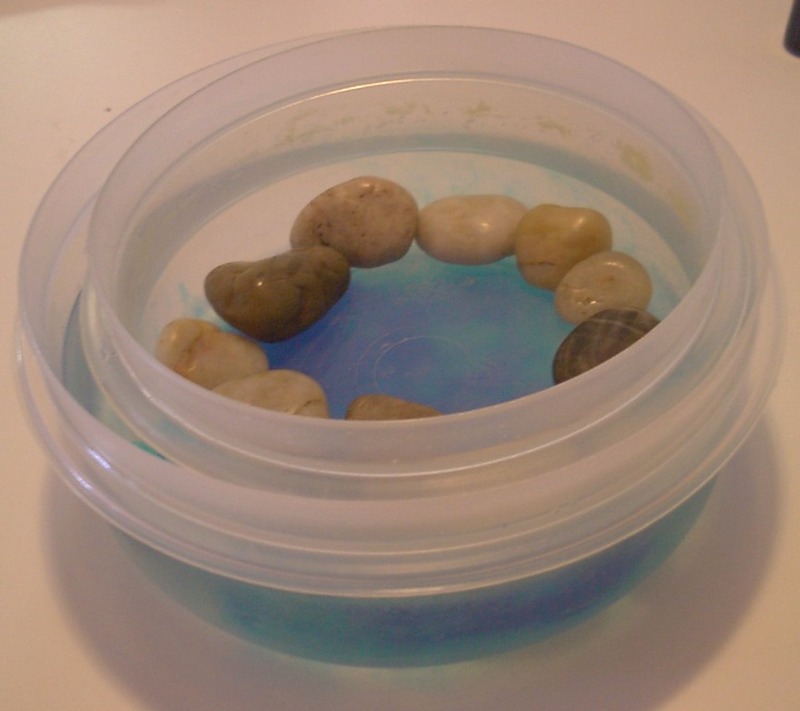 You can use rocks to hold down another bowl on top to form a ‘bowl’ of ice too. Once frozen, remove from the container and set a candle at the center. Place in the moon outside, on a warm night and say “Ancient Moon, empower me to grow, let the ice melt away that which blocks me. Let it water my intentions to grow and thrive”. You can meditate as it melts, but don’t leave any candle unintended. If you wish, don’t use the candle, just leave the ice outside. Once melted, pour to the ground and bury the paper left over. Give thanks. Some pagans might want antlers for their home, and the other day someone asked me why were they so difficult to find? For starters, many animals will chew and eat antlers as they are great for teeth grinding (squirrels, rabbits, porcupine, beaver) not to mention a good source of calcium for anything that likes to gnaw such as Bobcat or wolves. Even if you were to find them in the woods, you often find gnaw marks on them. You can check local hunting supply stores to see if they have antlers. Hunters use them to lure in bucks by rattle them together, simulating bucks fighting. You can search online but read descriptions. Some listings are made of resin and not bone at all. Another source, try pet stores. You’re not likely to find a full rack but they carry antlers for dog chews of various sizes. In Wicca, you have the harvest god, sun god. But in many cultures, there are also moon gods as there are sun goddesses. Check out Sun Goddesses to learn more. Very easy Strawberry frozen yogurt. Here is a nice video by Pagyptsian on Youtube, who has a lovely channel where she shares an Egyptian tradition of Wicca. She provides lots of practical videos, but this one, she covers the integral element of tools; the fact you don’t need to buy anything. Most of my tools were gifts or found, or even made. Most tools can be stuff you find in the kitchen as well, but it doesn’t need to be fancy or ‘witchy’, since the real power lies within you.